After World War 1 the well-known pianist Paul Wittgenstein, who lost his right arm in action, commissioned a series of concertos from a number of composers (Richard Strauss, Sergueï Prokofiev, Franz Schmidt…), among them the famous concerto for the left hand by Ravel. Two others, although rarely played, are twentieth-century masterpieces: a surprising (and exuberant!) 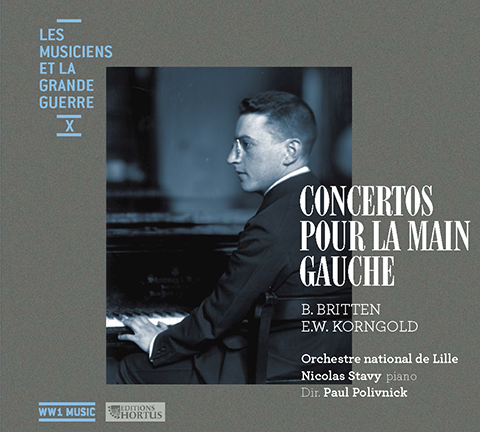 concerto by Korngold (1923), and Diversions by Britten (1940), a piece comprising a theme with 11 variations, full of life and lyricism.